Focus: Individuals (adults and teens), Relationships, Communication, Premarital, Affair recovery, Anxiety, Depression, OCD, Self-esteem, Abuse recovery, Eating disorders, Spiritual issues. Nancy loves people and considers it a privilege to walk along side them through their struggles and empower them to become all that God created them to be. Her goal is to help you overcome issues and develop strategies to reach your maximum potential through Spirit-led counseling. Nancy provides a caring, accepting and nurturing environment in which she helps you develop tools to overcome the situations you are facing now, and give you the ability to apply these tools to other situations that arise in the future. Nancy believes that counseling is her true calling in life; she has a deep abiding passion for it. Nancy considers it an honour and privilege to partner with you. You do not have to go through this alone. I view my role as a facilitator in the process of helping others achieve their goals and creating a life that is meaningful for them. 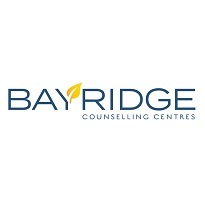 I utilize a solution-focused approach to help create effective strategies to achieve the desired outcome and incorporate other therapeutic strategies to help identify what beliefs, thoughts, and/or behaviours are the root cause of the problems.